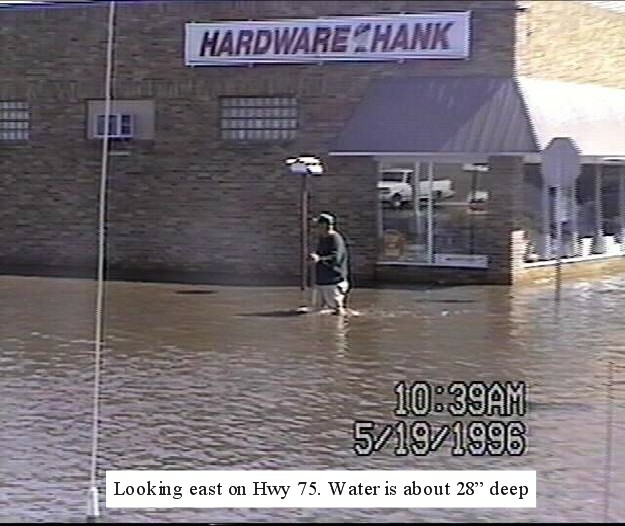 Throughout its history, the City of Warren has endured numerous floods. 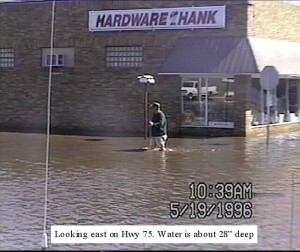 In 1996 and 1997, the city suffered 3 major floods that caused an estimated $12.7 million dollars in damages. The late Mayor of the City of Warren, Richard P Nelson had a dream to spare his city from more years of floods from the Snake River. Mr. Nelson recognized the opportunity provided by the USDA/NRCS Small Watershed Program, and set out to make his dream become a reality. 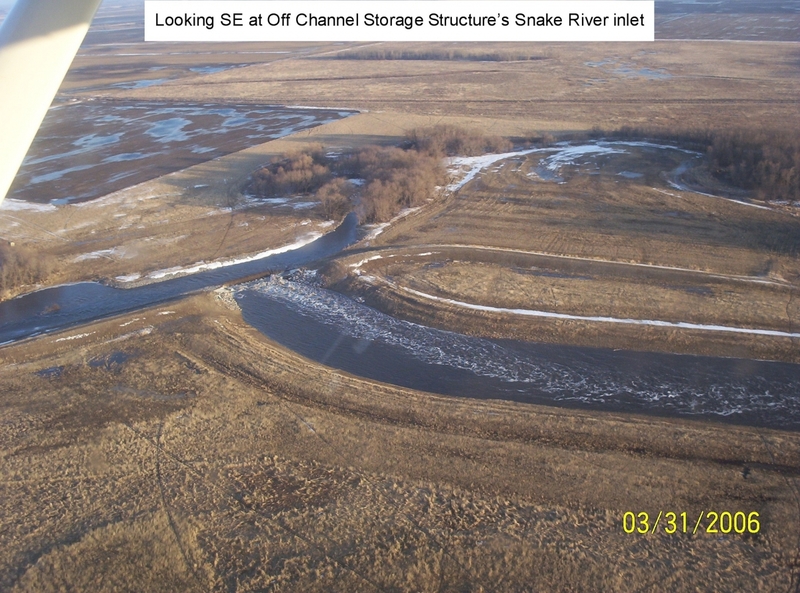 In 1997, the City of Warren and the Middle Snake Tamarac Rivers Watershed District, the local sponsor of the project, asked the Natural Resources Conservation Service (NRCS) for assistance on planning and construction on the Snake River Watershed Project. 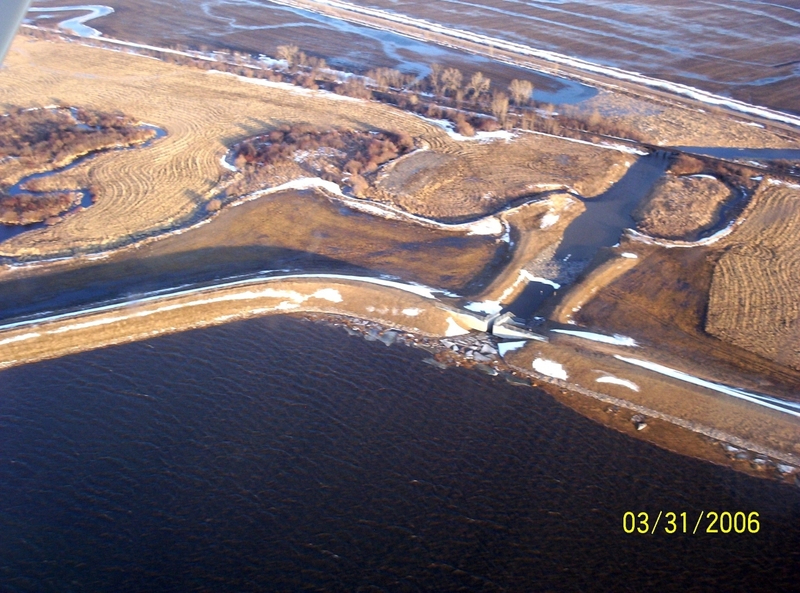 In November 1999, the project plan consisted of 4 phases of construction: the lower mile of the floodway, and outlet chute, the off-channel floodwater storage site, the Snake River diversion structure and upper 3 miles of floodway, and the establishment of the mitigation features. In 2000, the MSTRWD held two public hearings and unanimously passed the Order for the Establishment of the Richard P Nelson Floodway and OCSS (PL-566 Project). The Richard P Nelson Floodway and OCSS groundbreaking ceremony “Soaring to a Bright Future” was held on October 26, 2001. 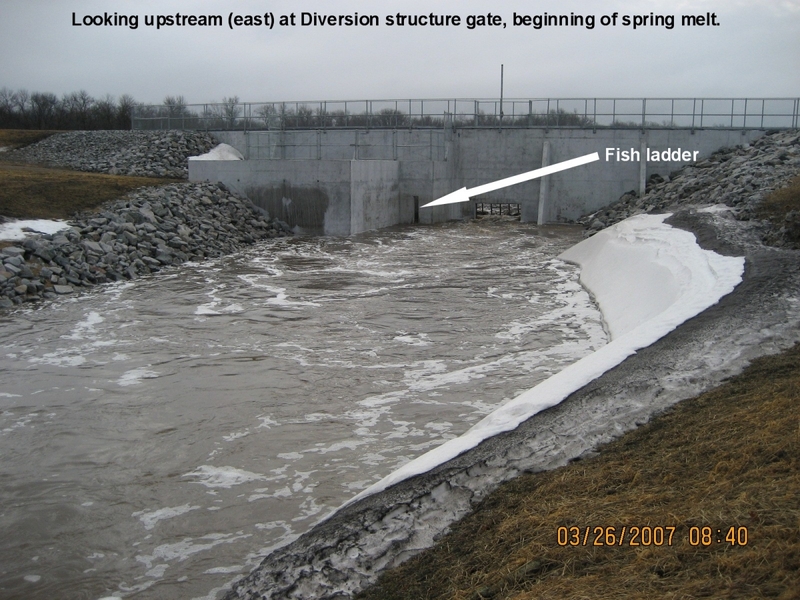 Although the project was not totally complete, it was operational in the spring of 2006 and it saved the City of Warren from flooding. The NRCS’s estimation was approximately $8.7 million of flood damages that could have occurred. Mr. Nelson did not witness the benefits that this project would provide to the citizens of the City of Warren and the surround areas, due to his untimely passing in 2006. 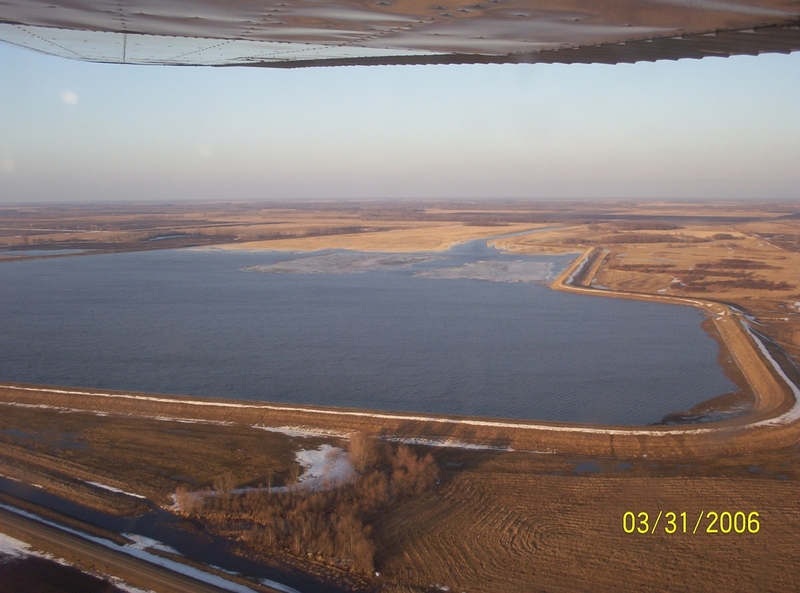 Phase 1: The Richard P Nelson Floodway consisted of the construction of the lower 4,000 feet of floodway and the outlet chute, in Section 2 of Boxville Twp, Marshall County. Construction began November 2001 and was completed August 2002. Phase 2: Construction on the Off-Channel Storage Site (OCSS), located in sections 14 and 15 of Comstock Twp, Marshall County began in 2002. 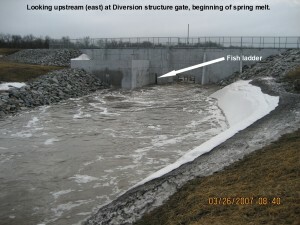 The purpose of this impoundment is to offset and mitigate downstream impact of the diversion. The impoundment was operational in 2004, ready to receive waters from approximately 57 square miles of drainage area. 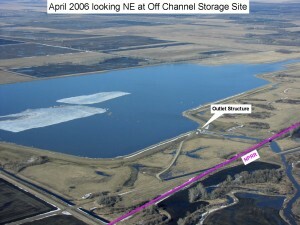 The storage site covers approximately 550 acres with a flood pool storage capability of about 6800 acre/ft. The earth embankment is approximately 4.5 miles in length, with the highest section approximately 22.5 feet high. Phase 3: Construction of the Snake River Diversion Structure, the upper 3 miles of floodway, three highway and two railroad crossings. Each road crossing was comprised of triple lines of 16′ span x 10′ rise precast concrete box culverts. Phase 4: The Mitigation Plan included mitigating the loss of directly and indirectly impacted wetland acres, as well as 7 acres of impacted forest affected by the construction of the Project. 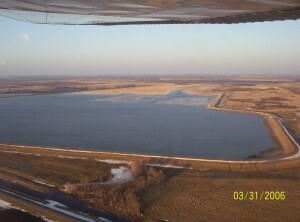 The Natural Resource Conservation Service designed “Wetmore”, a 74.9 acre covenanted area within the OCSS to offset the loss of the 38.73 impacted wetland acres. Also established was a 7 acre covenanted tree site to mitigate the 7 acres of impacted forest. This work was completed in 2008. To minimize erosion and reduce the velocity of the Snake River’s water into the OCSS, the Rock Riffle Project was constructed to stabilize the river at the upstream inlet to the Off-Channel Storage Site. 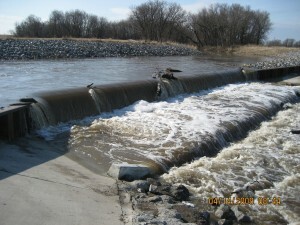 Five acres of large boulders were placed in the river along with smaller rocks between them. The boulders are consecutively larger going up stream from the inlet weir. The rocks were tied into the existing riprap on both sides of the river. Another feature was the construction of a levee to prevent flows from leaving the channel upstream of the boulders. Vegetation such as willows and deep rooted grasses were planted to hold the river bank in place. 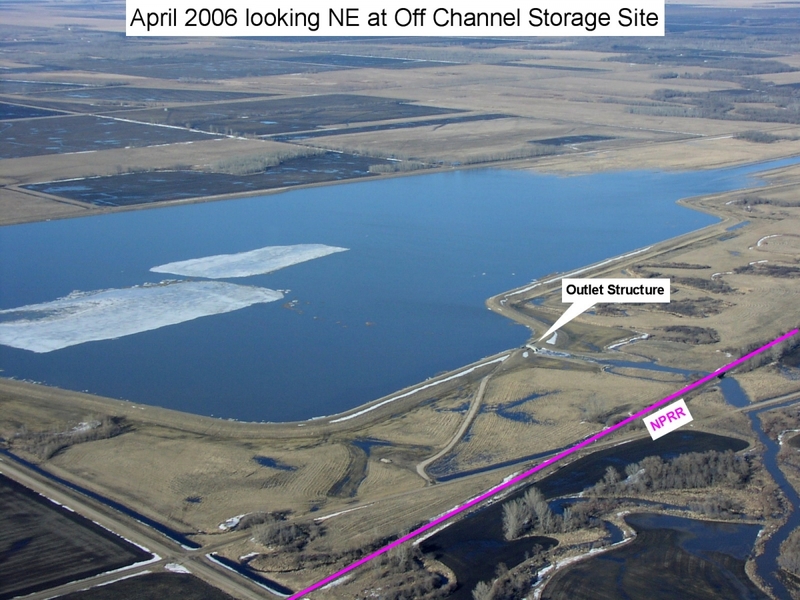 The Richard P Nelson Floodway and OCSS was officially dedicated in the summer of 2010. The NRCS and the MSTRWD provided funding for the landscaping of the Richard P. Nelson monument.